Been a bit sick the last week so work has been minimal. what i have done though is the eyes. 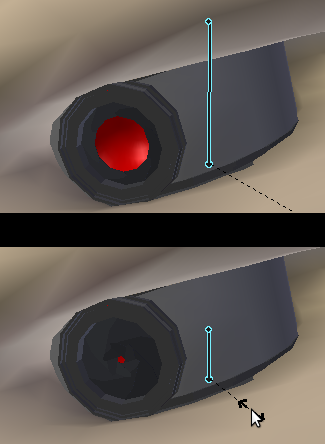 Styled like camera lenses with a shutter iris to act as the eye lid. Complete with evil lookin redness. 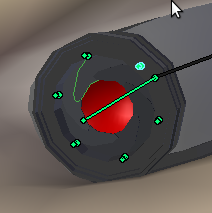 Rigged it up with minimal movement. The lenses can only rotate fwd and back, tilting up and down will be left up to the head rotation. 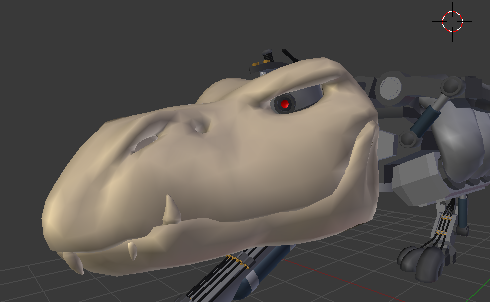 Did this to keep with the kind of character i see him as but also slightly because to get the whole thing movable, i wouldve had to expand the eye sockets more than i already have. or make the lenses smaller. Neither of which i wanted. To rig the iris, each part of the iris was lined up to each of the little bones shown. Their rotation is then linked to the scale of the control bone. The plane of rotation on them all is also slightly tilted to get that nice overlap as it closes.